Opis: The Oxford Church Movement - Wakeling G.
I have much pleasure in writing a short introduction to Mr. Wakeling's book. To those who, like myself, were under the influence of the Oxford Movement from early college days in 1842-43, the remembrance of the various works and workers must ever be of great and pleasing interest. But for all there is much instruction to be gained in seeing how in the great cause the hearts of men and women, of varying character and in different walks in life, were drawn in one by one to sow the good seed; and in searching out the way in which the soil in every place had become prepared for its reception. 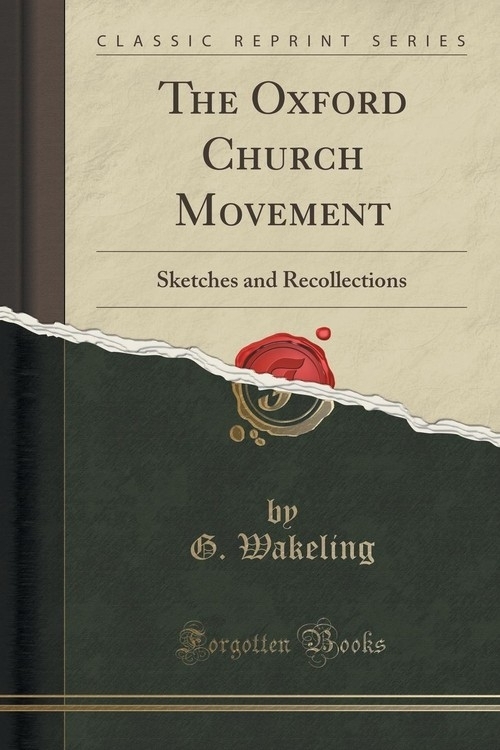 Szczegóły: The Oxford Church Movement - Wakeling G.
Recenzje: The Oxford Church Movement - Wakeling G.